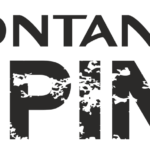 The MONTANE Spine Race is widely regarded as one of the worlds toughest endurance races. A truly epic challenge that will test your physical resilience and mental fortitude. Racing non-stop along the most iconic trail in the UK, you will experience the full intensity and ferocity of the British Winter. Prepare yourself for the biggest challenge of your life.